A 1-day experiential bus tour, designed for those with limited time, but plenty of interest in catching up on the latest developments in Montgomery County. The next MoCo Insider bus tour is Friday, May 3, 2019. Insights throughout the day from tour guide, Steve Hull, Editor & Publisher of Bethesda Magazine. Busy executives or past LM graduates who wish to stay engaged on what’s new and changing in Montgomery County. What Do Graduates and Their Organizations Get Out of the Program? Participants gain insider perspectives on the issues and institutions impacting Montgomery County. Participants have the chance to learn from and connect directly with the key decision-makers influencing our community. Organizations who sponsor the participation of their employees in MoCo Insider gain expsosure for their business and valuable networking opportunities with local leaders and elected officials. 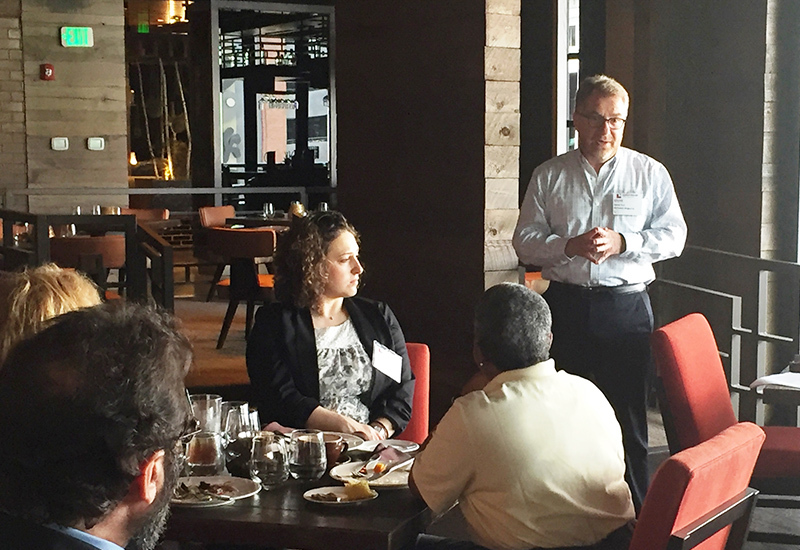 Cost includes bus tour, breakfast, lunch, materials and a networking happy hour with key Montgomery County influencers. How Do I Register or Learn More? Interested candidates can register here. Questions? Contact Ali Levingston, Vice President, Leadership Programs, at 301.881.3333 or ali.levingston@leadermont.org. Do you want to be a part of the next MoCo Insider program? A dynamic, professional development program which provides rising leaders between 25-35 years of age with the skills and connections necessary for success. Designed for recent or soon-to-be retirees seeking to deepen their civic engagement, knowledge about the County, and to expand their community network. LM’s flagship program is designed for experienced leaders across all sectors, who want to gain a deeper understanding of local issues, connect with other key decision-makers, and explore ways to collaboratively strengthen our community. Designed to connect businesses and professionals to structured volunteer and community engagement opportunities in Montgomery County. When you join Leadership Montgomery, you become part of an engaged network of leaders who are helping Montgomery County thrive.